Message reports allows you to view detailed data about messages sent from Cordial. 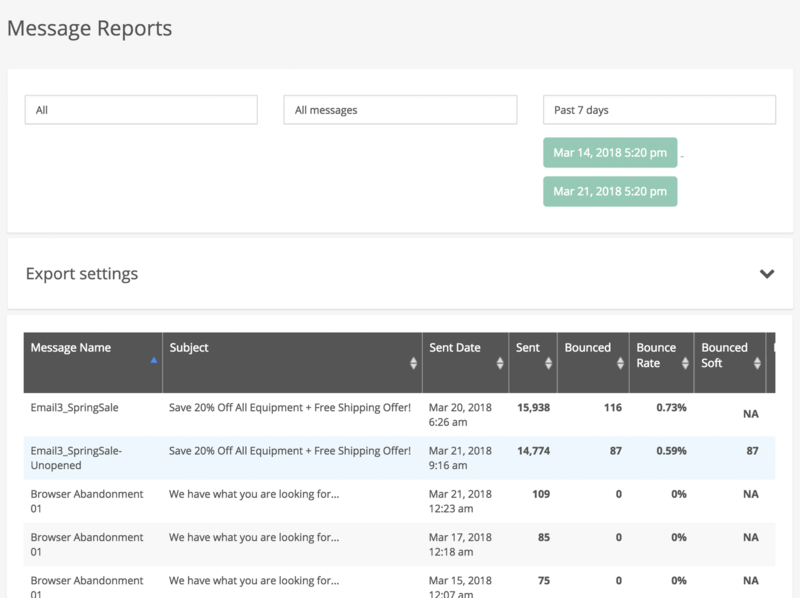 In addition to the Message Report page in analytics, reports are also available on individual message performance pages for both batch messages and automated messages. To view message reports, navigate to Analytics › Message Reports. The default view shows data for all message over the past 7 days. To export a message report to a CSV file, click the Export button at the top right of the page, give the export a name, and click Submit. The CSV will be downloaded to your local machine. In the next article learn about Event Data Reports.